“So we derived the total of military (active and reserves) married to people with inadmissibility-type immigration issues by taking the total (1 million), multiplying by the national percentage of foreign-born (6.3 percent, so 63,000 current U.S. military are married to immigrants), and then the 25 percent of the total which have problems with immigration law: 15,750. Of that, Pew’s data indicates 75 percent are from sources characterized by entry without inspection and similar issues, that would be about 11,800,” Emery said. While it may not be exact, AFU generated the military estimate to “create awareness and get some of these legislators who say they support the military to actually act on it” and recognize that this is a bigger military problem than previously thought, said Nancy Kuznetsov, the group’s military liaison. That’s become more important in the last year, both Emery and Kuznetsov said, as President Donald Trump’s administration has taken a harder line on immigration enforcement. An earlier “parole in place” program that was previously championed by Vice President Mike Pence to give relief to military families is no longer being utilized due to stricter enforcement of deportation proceedings under Trump. That’s meant more military families calling the group for assistance, Emery said. Immigration and Customs Enforcement removed 61,094 people in fiscal year 2017, compared with 44,512 in fiscal year 2016, a 37 percent increase, according to Department of Homeland Security data. 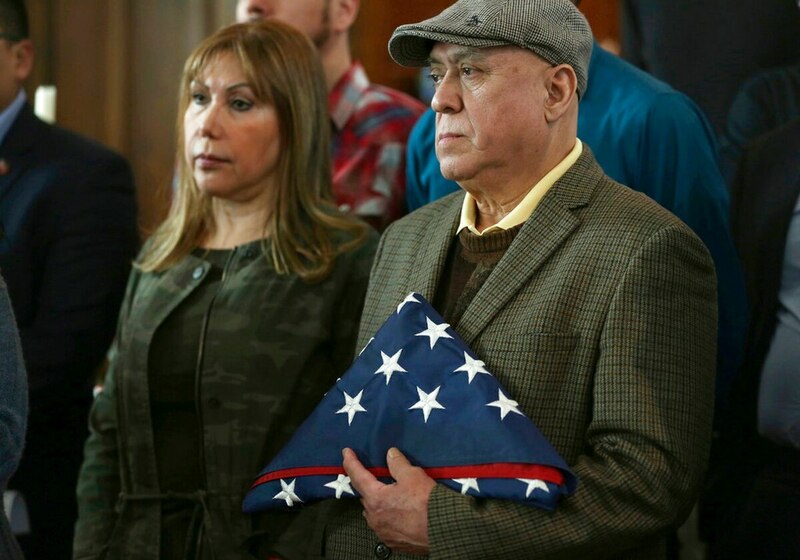 Military Times has spoken to more than a dozen military families who reached out after hearing about 7th Special Forces Group veteran Bob Crawford and his wife Elia, who was facing deportation. After intense media interest, DHS dropped removal proceedings against her. While an ICE official said the agency “respects the service and sacrifice of those in military service, and is very deliberate in its review of cases involving U.S. military veterans,” the agency does not track military status in its removal statistics, the official said. ICE referred queries on how many military families were facing removal proceedings to the Department of Justice’s Executive Office for Immigration Review. But that court “does not track military status among respondents or their spouses,” when prosecuting immigration cases, said spokesman Devin O’Malley, so there’s no way to know how many military family members were among those persons removed last year.